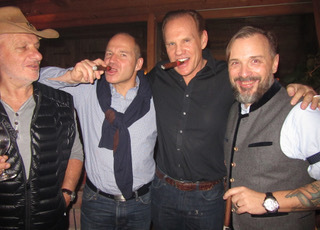 Kitzbuhel, Austria (February 5, 2018) - What started with a spark of an idea for a Daniel Marshall Cigar event by private club visionary, Richard Hauser, has become a highly anticipated annual "campfire" event with a closed capacity guest list that reads like the who's-who from tycoons, publishers, ski champions and the biggest stars in the world. 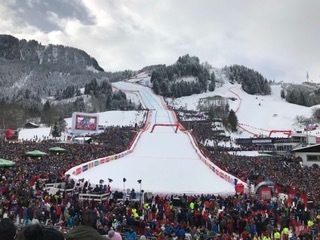 Daniel Marshall coined the phrase "modern day campfire" to describe why such an international gathering of women and men would share moments in a standing-room only environment at the beautiful Kitzbuhel Country Club (KCC). This year, friends of Daniel Marshall - Glenfiddich and Davidoff -asked to share in the event. 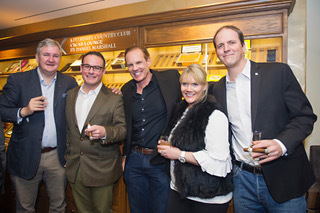 Guests of the evening enjoyed the 92-point rated Daniel Marshall Red Label Cigar, a Davidoff Winston Churchill "The Late Hour" Cigar, complemented with the most awarded whisky in the world, Glenfiddich. As a special treat, guests could enjoy a rare bottle of 40 year old Glenfiddich to mark the anniversary of the launch of the first internationally available Scotch Single Malt 55 years ago by Glenfiddich alongside a Daniel Marshall Golden Cigar. On that festive occasion Marshall described his idea of what unites us all, "The Golden thread that runs through all our veins is a commitment to creating in all we do, a richness of character and generosity of spirit.” On the occasion of the 35th Anniversary of Daniel Marshall this year you can expect more exclusive “modern day campfire” events across the world, a special edition of humidor and cigars and more “Golden Moments” to celebrate life and luxury. Daniel Marshall, a 35-year veteran of the cigar industry, is one of the world’s leading names in No. 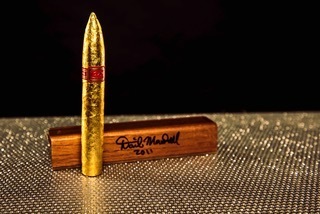 1 rated top quality humidors and finest cigars, including the coveted 24kt Red Label Golden Cigar. 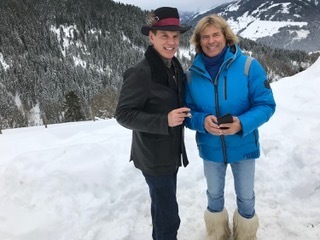 DM Humidors are enjoyed in the homes and offices of countless Hollywood celebrities, US presidents, dignitaries, titans of industry, and fashion designers among others. Marshall is also a cigar and humidor supplier of England’s Royal Family. Since 1982, Daniel Marshall has created and designed for the prestigious luxury gift houses Dunhill, Tiffany & Co., S.T. Dupont, Cartier, Hermes, Fred Joaillier, Harrod’s, Bally of Switzerland and Garrard’s of London. Daniel Marshall’s humidors are historic, with a collection on display at the Smithsonian Museum. 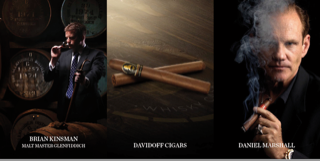 Follow Daniel Marshall on Twitter @DMCigarWorld & Instagram @DMCigars for real-time updates.